Are you tired of feeling fatigued? Have you been working overtime and neglecting your health? Well, if you’re anything like us, your battery is flashing red, and it’s time for a wellness reboot. Before you reach for that juice cleanse or quick-fix diet, there’s a new way to detox, and it doesn’t involve deprivation or strict rules. Yes, you read that right. This one is all about real, wholesome, nutritious food. Say hello to the soup cleanse. 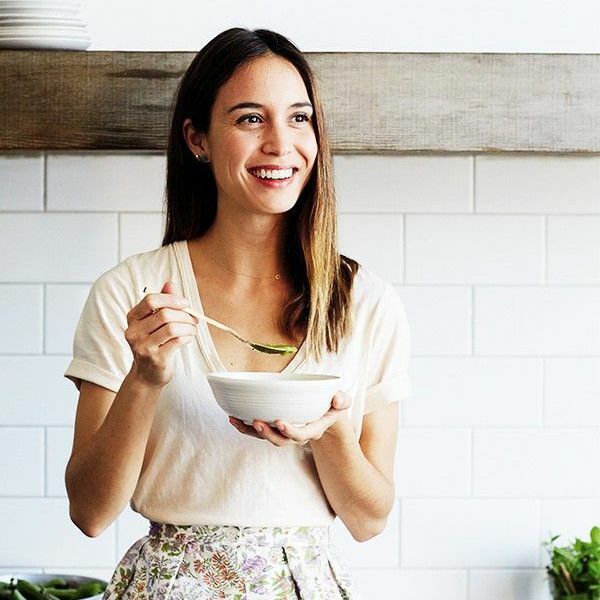 While the idea of eating soup to detox is nothing new, this modern approach is all about enriching your diet with plant-based whole foods and fat-soluble nutrients that will boost your energy and your health, while keeping you fuller for longer. 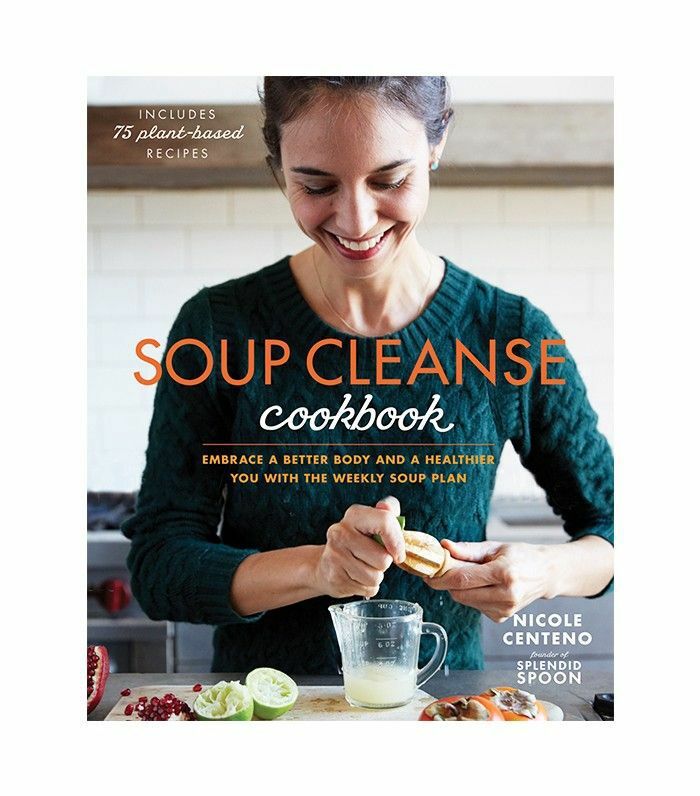 Nicole Centeno, founder, and CEO of Splendid Spoon soup delivery and author of the Soup Cleanse Cookbook has crafted this new version of the intermittent fast, which is proven to boost metabolism, refresh immunity, detoxify the organs, and shed unwanted weight. To find out more, we tapped Centeno on the what, why, and how of this new-age soup cleanse. Don’t miss the two exclusive recipes at the end so you can kick-start your own cleanse this weekend. What are some of the health benefits of a soup cleanse? A soup cleanse is about nourishing your body, not depriving it. It’s full of whole vegetables, low in sugar, and high in fiber to keep you fuller longer. Plus, eating cooked soups is gentler on your digestive system while also providing your body with lots of fat-soluble nutrients that benefit from a little heat. In Ayurvedic practices and ancient Chinese medicine, soup plays an important role in helping the body heal. I think my favorite part of souping is actually its ability to slow down. So much of a cleanse experience is about clearing space to focus on your needs, and slowing down provides that opening to really connect with your food and with your emotional state. When people think of a cleanse, they think restriction, dieting, and eliminating the things they love. How is your cleanse different? My program is about habit formation, and I do this through small changes made every day instead of big sweeping restrictions made in a short period of time. Eating well should be natural and inclusive; we all can achieve great health and strengthen our feelings of self-love. A few small tweaks, like having one wholesome plant-based soup a day from Splendid Spoon instead of your normal lunch (a soup swap!) and one lean day of souping a week (just one cleanse day), can make an enormous impact. Perhaps the biggest reason for this is that small changes like this are much likelier to become real habit. A few reliable habits provide you more freedom and confidence than any quick-fix deprivation diet will ever give you. How long do you recommend being on a soup cleanse? Souping is not about jumping in for a short period of time, really. It’s about making a commitment to yourself moving forward, and embracing the fact that a meal day and a lean day a week can create meaningful change. Each time you sit down, it’s a cleanse moment that clears space for you to nourish body and spirit. That said, I definitely realize that there are times when we need a harder reset to get a new routine going or maybe push out of vacation mode or whatever it might be. To kick-start, you could certainly start with two days of the lean cleanse day (where you eat five soups throughout the day, plus hydrating with lots of water) and then move into the regular weekly rhythm with one cleanse day and five swaps. I have a different favorite depending on the time of year, and right now the fall ratatouille is calling to me. This time of year is magical because you can get armloads of bright tomatoes and the first of the butternut squash as summer collides with autumn. This recipe combines the beauty of that transition-season harvest into a bright and filling bowl. For those who want to use your cookbook and make them at home, how long do they take to make? Can they be frozen? They all have about 15 minutes of active time, and some, like the raw cucumber and cashew soup, are blended together in a matter of minutes while others, like the plant-based tagine, will simmer for an hour on the stove. I do suggest making them in advance because each recipe is four portions, and they are really nice to divide up for quick meals at work or at the end of a busy workday. And yes, freezing is a fantastic way to store soups! As a mom of two, you know what it means to be busy. What are some simple time-saving hacks you do to keep the family healthy and well? Keeping soups in the freezer is really important for me because I can trust that I will reach for that first when I’m pressed for time and can’t cook for everyone. Soups, fresh apples, nuts, seeds, raisins—these are really the only things I am religious about keeping stocked. I don’t buy packaged snacks like cookies or crackers or even cereal very often. I know we will have those things at birthday parties and with friends, so I just keep them out of my cabinets to maintain some balance. Other than that, I try to let the kids pick different things throughout the week so they feel included in our mealtime decisions. What are some of the morning and evening rituals you swear by to maintain a healthy mind and body? I love shared experiences with my kids in the morning, like making breakfast or having a lively dance party. Moving around is a really great way to connect with kids and also shake out any emotional debris that we haven’t worked through. In the evening, I personally like to journal and meditate. A really nice warm shower or bath is another lovely ritual to close out the day as well. How do you incorporate wellness into your children’s lives? We cook together a lot. My older son (Grover, age 3) uses a little butter knife to chop up things like cucumbers and mushrooms. They also help me water plants and tend a small garden at my parents’ house. This inclusion in the growing and making of food is really fundamental, but mostly it’s fun, and now I have a little set of helpers. I am also a big proponent of moving around to “shake the emotions out.” I haven’t been able to get these two boisterous boys to sit with me for meditation, so I have found more active ways to connect mind and body and provide a safe place for them to release and acknowledge their inner emotional state. Talk us through your meal delivery service, the Splendid Spoon, and what it’s all about. Well, if you can’t cook for yourself, we can deliver to you! Splendid Spoon is the business I founded to deliver those small changes right to your doorstep so the habit formation is even easier. Every plant-based bowl is fully cooked and ready to eat, made fresh by our team in Hudson Valley, New York. We deliver nationally, so you can stock your fridge with wholesome meals week after week. The menu rotates weekly, and it’s full of chilis and congees and stews like the ones in my book, Soup Cleanse Cookbook; many of the book recipes have been on the Splendid Spoon menu. Because there is no cooking required, I truly rely on the weekly delivery not only for myself but to nourish my kids throughout the week. Ready to kick-start your own soup cleanse? Start today by making Centeno’s nourishing soup recipes below and store them in the freezer for weeks’ worth of delicious meals in a snap. Then shop the book! Wrap the beets in foil, and roast for 45 minutes or until a knife can be inserted and removed from the beets with ease. Meanwhile, in a medium pot over medium heat, warm the oil. Cook the carrot, onion, and garlic, stirring frequently, for 10 minutes or until the vegetables are soft and sweet. Set the mixture aside while the beets continue to cook. In the same medium pot over medium heat, combine the beets with the carrot mixture. Add the dill, horseradish, salt, pepper, water, and vinegar, and simmer for 15 minutes. Using an immersion blender or countertop blender, purée the soup until very smooth. This soup is fantastic as a chilled soup drink on the go or warm in a bowl. In a large pot over medium heat, warm the oil. Cook the onion for 3 to 5 minutes or until it is soft and translucent. Stir in the garlic, and cook for 2 minutes or until fragrant. Stir in the cocoa powder, salt, and pepper, and cook for 1 minute. Add the beets, and cook for 15 minutes or until the beets are tender. Add the water, and stir to combine. Increase the heat to high, and bring to a boil. Reduce the heat to medium low, add the rice and wine, cover, and simmer for 35 minutes or until the rice is soft but still has some bite to it (al dente). Up Next: 12 Fall Soup Recipes to Make You Look Forward to Chilly Weather. This post was originally published on September 10, 2016, and has since been updated.